We are happy to provide services to assist you and those people most important to you in building healthier and stronger relationships. Horses are ideally suited to participate in this form of counseling as they are accustomed to being in a family themselves - the horse herd! Do you feel disconnected from your partner? Unsure as to why or how things changed and what to do about it? Through participation in EAC, many couples find that they are able to feel connected in ways they have not felt in a long time. The novelty of this form of experiential therapy has the capacity to renew feelings of intimacy and connection, while rebuilding the friendship between you and your partner. navigate challenges that may lie ahead. As horses are very social animals, the "family" or herd is integral to both their physical and emotional health. In fact, a horse's very survival can depend upon the ability to function within the herd. For this reason, horses are easily able to integrate into your own human "herd" and provide valuable feedback regarding the nature of the relationships between you and your loved ones. Horses have a high level of attunement to relational dynamics and will respond in authentic and nonjudgmental ways to maladaptive patterns in your relationships, while also modeling a variety of relational patterns in their own herd. 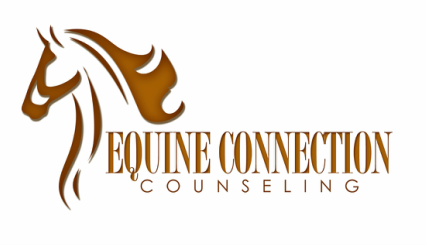 Together with your counselor and equine specialist treatment team, you will have the opportunity to improve communication and social skills, develop understanding and empathy, and strengthen the family relationship.